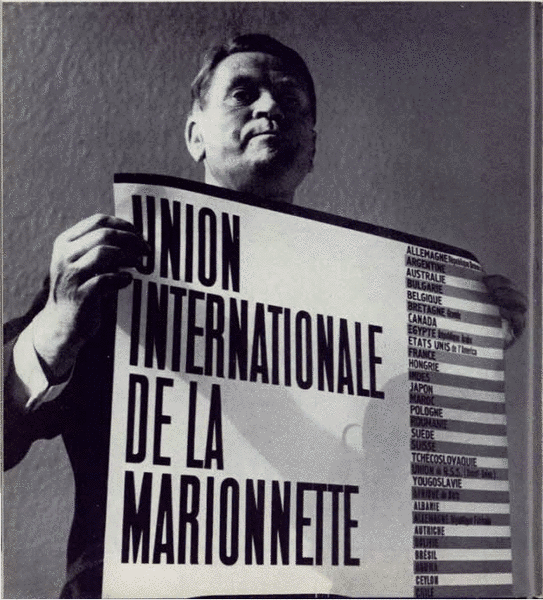 The oldest international theatre organisation in the world, the UNion Internationale de la MArionnette (UNIMA) is a Non-Governmental Organization affiliated to UNESCO. Its members who come from all over the world contribute to the development of puppetry art. This organization and art form allows us to promote the noblest human values such as peace and mutual understanding between people regardless of origin, political or religious convictions and differences in culture, in accordance with the respect for fundamental human rights as defined in the United Nations Universal Declaration of Human Rights of December 10th 1948. In this way, UNIMA works for the cultural diplomacy. Present in more than 90 countries, UNIMA is a platform to exchange and to share between people who practise puppetry (amateur or professional), work on this art (researcher, historian etc.) or are passionate about this art. It also supports meetings, conferences, festivals, exchanges and collaborations, opportunities to co-operate with people in all areas of puppetry (therapy, teaching, training, research, documentation, collections, exhibitions, etc. ), and supports collecting and distributing information and publications about research, courses and workshops. Help members of the Organization in the exercise of their democratic, financial and legal rights within the framework of their professional activity. UNIMA is able to make recommendations and submit proposals to the competent bodies. The ruling bodies of UNIMA are: the congress, the council, the Auditing Commission, the Executive committee, the General secretary, the Commissions, the National centres and the representatives. The “supreme body” of UNIMA is composed of elected Councillors and all the members of the Union who may be present. Only the Councillors, however, have the right to vote. It meets at least once every four years. It is made up of the Councillors of every member country, democratically elected before each Congress. It also includes accredited Representatives and ten supplementary councillors elected at the congress. A Council meeting is held at least once between two Congresses. This meeting is held in principle two years after the last congress. The Secretary general coordinates the activities of UNIMA, informs the National Centres of these activities and organises the work of the Executive committee, is responsible for the staff of the General Secretariat, the keeping of the archives and of the efficiency of the General Secretariat. The General Secretary is responsible for the financial affairs of UNIMA together with the Treasurer. The Treasurer submits an annual budget for approval to the Executive committee, oversees finance and accounts and manages the research funding of the UNIMA. By a national puppetry organisation already in existence. The General secretary can appoint an UNIMA representative in a country without a national centre. The function of the Representative is to develop links between puppeteers of his/her Country with the aim of creating a National Centre and to maintain a permanent link with the General secretary. Each national centre develops its work on the basis of its own Statutes. It must keep in touch with the General Secretary and must carry out the decisions made by the international organizations of UNIMA.